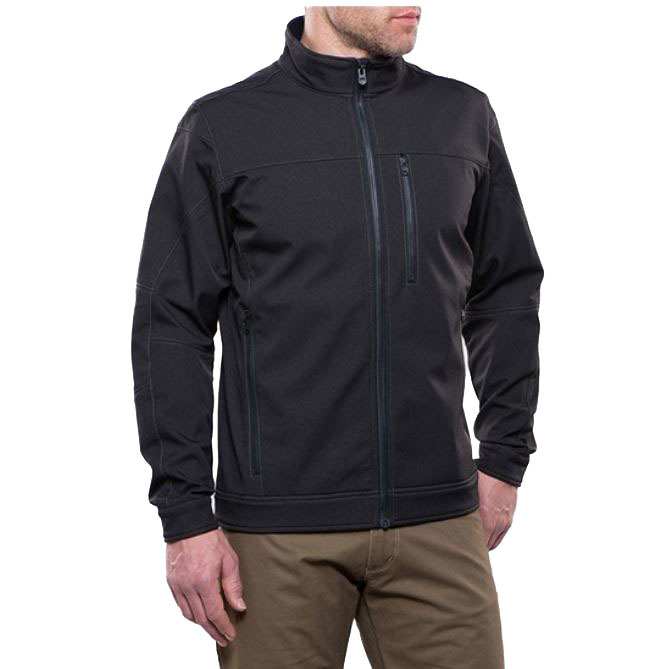 "The KuHL IMPAKT JACKET is a water repellent, wind resistant softshell with 4-way stretch. The underarm and side panels feature grid back fleece to allow greater breathability and freedom of movement. KuHL's patented 5-panel articulated sleeves provide better range of motion. The IMPAKT JACKET features zippered hand warming pockets and a zippered chest pocket.